As a mobile app or software developer, your primary work involves creating and maintaining the app itself. But it is absolutely imperative to have a website when you launch your app so potential users and customers can learn more about it and interact with you if they have questions or feedback. The website is also extremely important for all your marketing and advertising efforts. 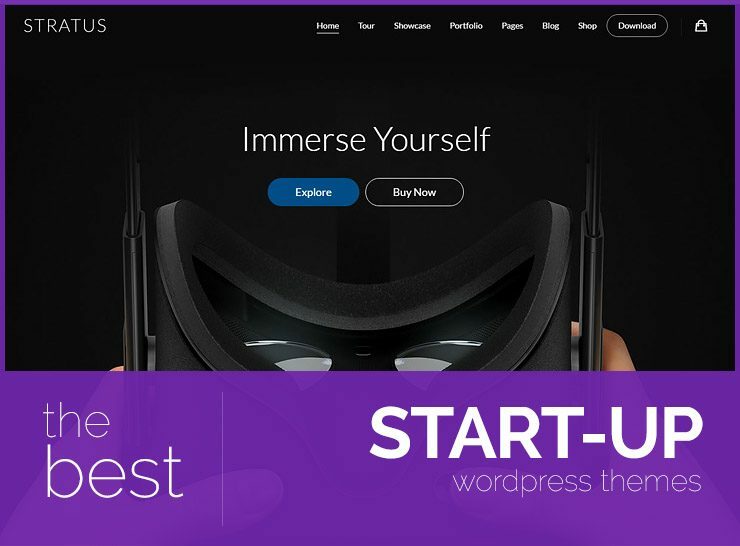 Designing and developing website doesn’t have to be a separate project on its own when you have WordPress themes for mobile apps, that you can use to create fully functional, great looking, SEO friendly websites for your apps and software. 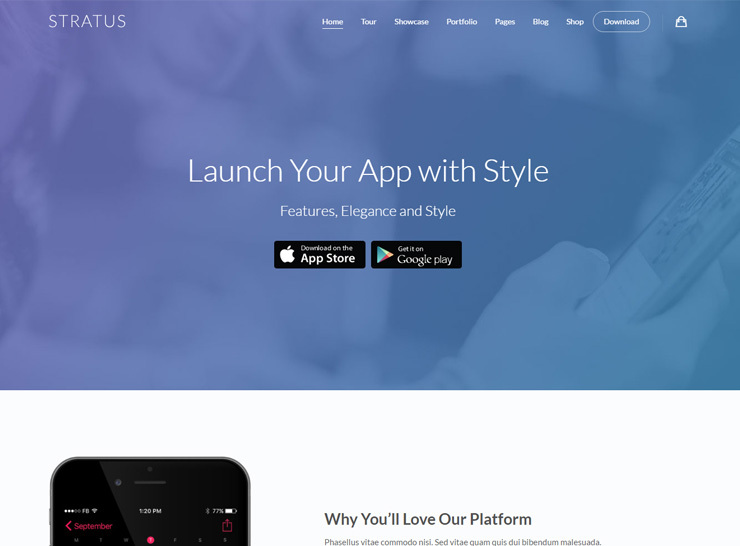 Most of these themes are multipurpose where you can use them for many different purposes but if you’re looking for a theme to build a landing page for your app, and to create a few pages about more information and features, these themes have special provisions to help you create such a website. 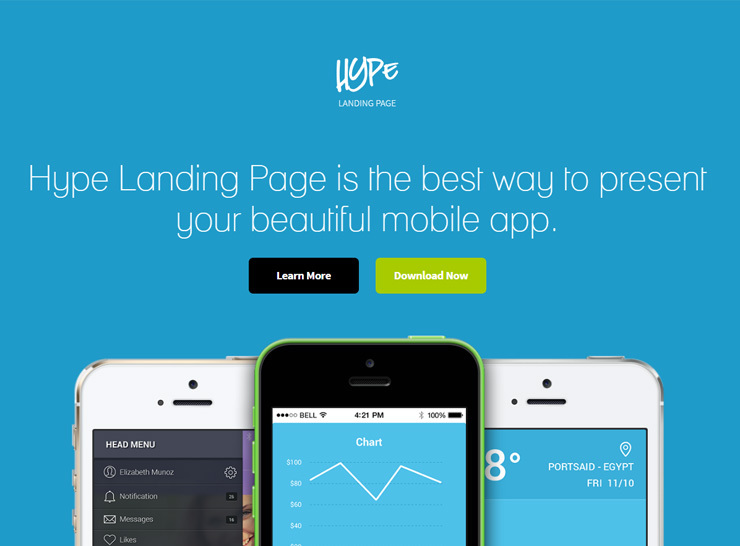 Some of them come with pre built demos that you can import to create the needed landed pages for your mobile app. 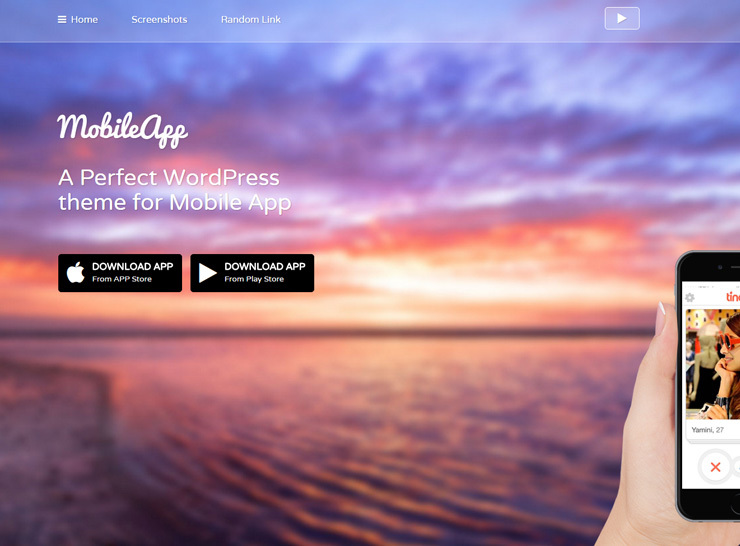 All these mobile app and software showcase themes require a self-hosted WordPress site. 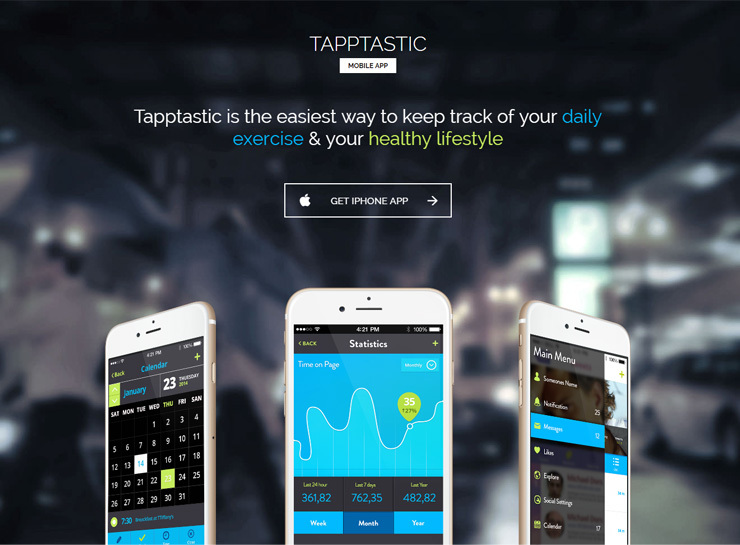 Tapptastic is a great theme for creating a website to promote an iPad, iPhone, or Android mobile app. Or even a software or theme. 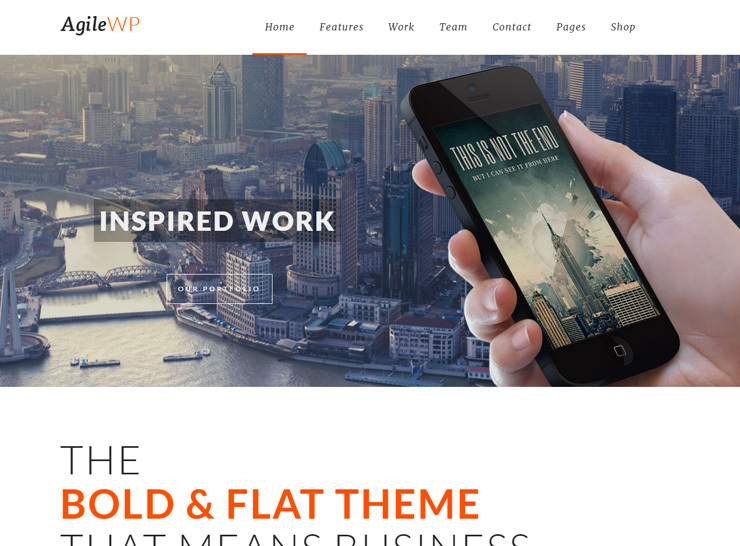 The theme comes with a lot of brilliant features including a powerful yet easy to use slider on the home page that can display a lot of media types (images and video) and the animations on the slider can be controlled by changing a few parameters. Tapptastic comes with PSD files that you can use to create images of your app in use on mobile phones and tablets. There are also lots of icons included in a single font file. 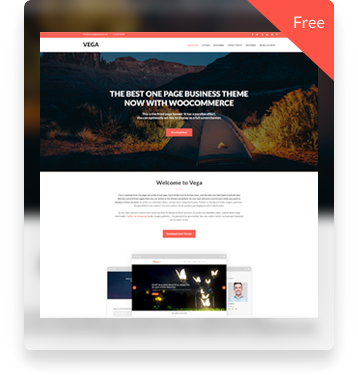 There are some extra templates that can be used, such as About Us, Contact, Blog, Gallery, apart from the default blog pages and posts. 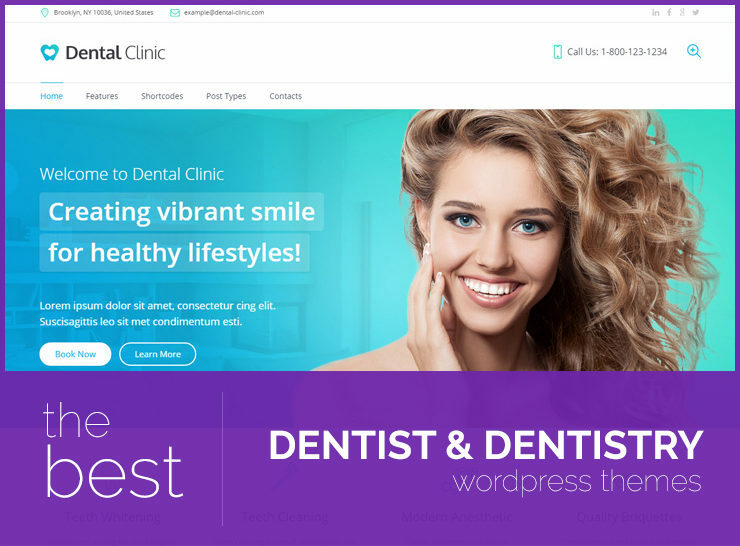 The extremely clean and aesthetically pleasing layout of this theme gives your new website a professional and polished look. 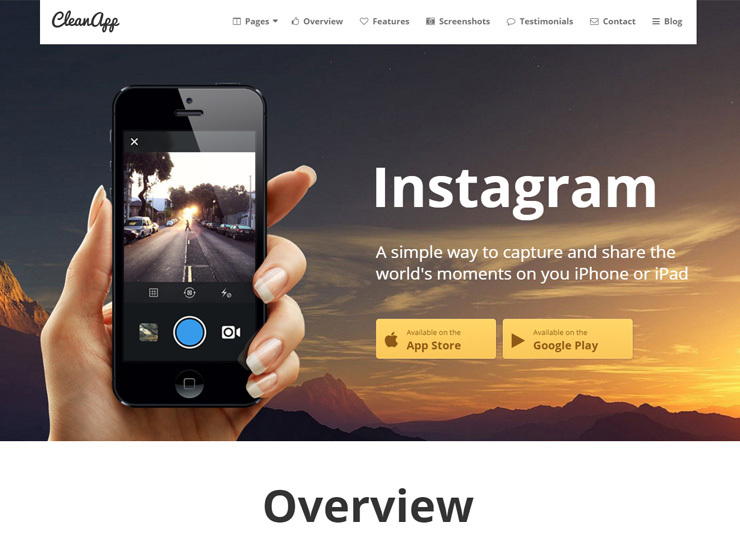 Key features of Tapptastic are: special PSD files to create images, image and video slider, translation ready, search engine optimized, contact form module, special page templates. 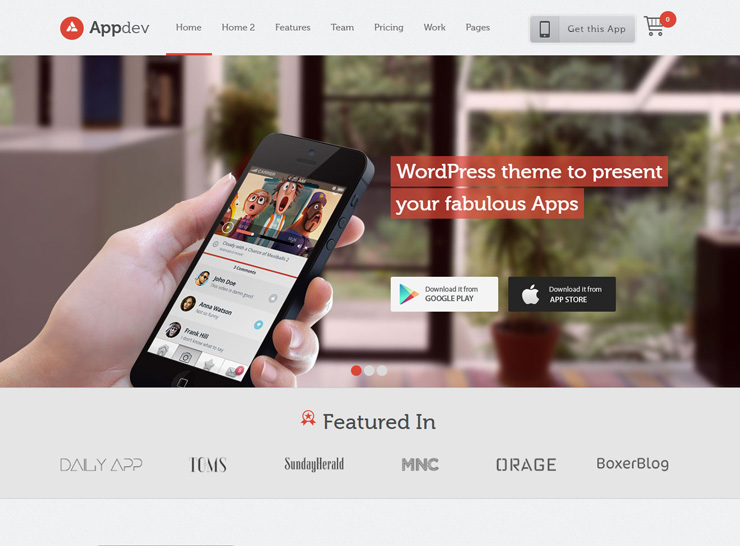 AppTheme is a wonderfully simple yet extremely effective theme that can be used to set up a fully functional, professional looking website with all the needed elements to attract new users and customers and to showcase your app or software best features. 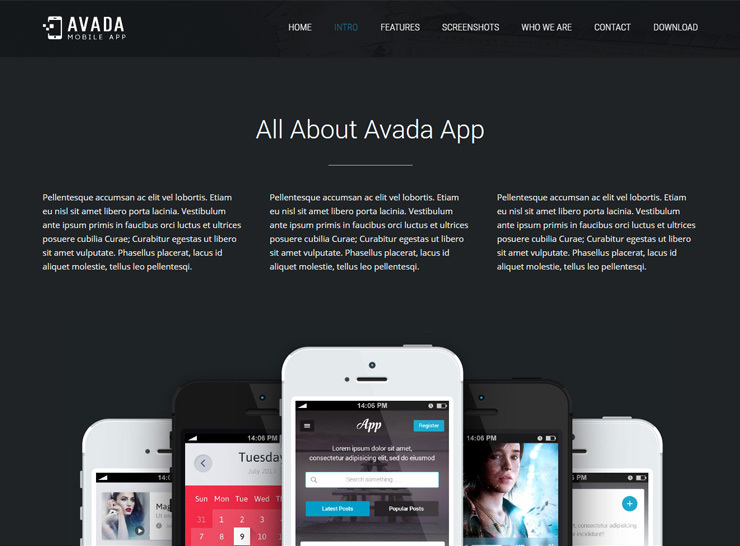 The theme can be used to display your work, whether it is a single app, or a portfolio of projects. 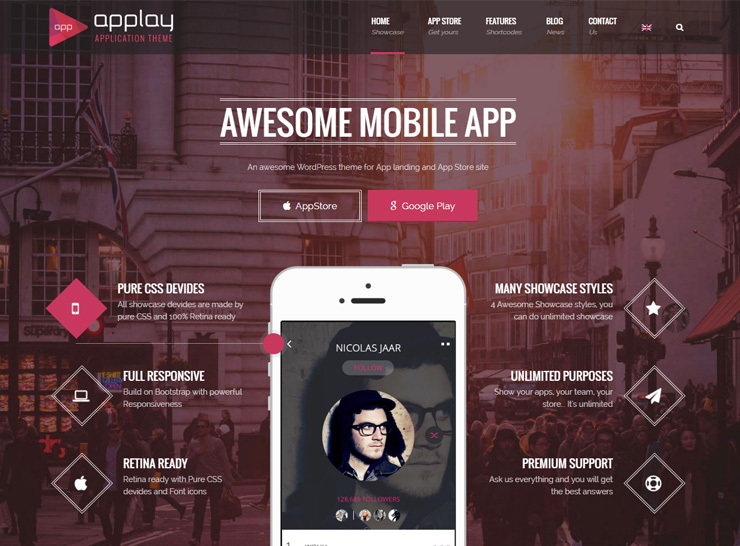 With services and testimonials, AppTheme is customizable so you can choose which sections to show users and in which order in order to best keep your visitors engaged and interested. The simple yet effective design works well on devices of all sizes. Having a responsive website with an uncluttered design that is fast loading is especially effective when you’re showcasing your mobile app and most of your visitors will most probably be using their mobile devices to browse your website. 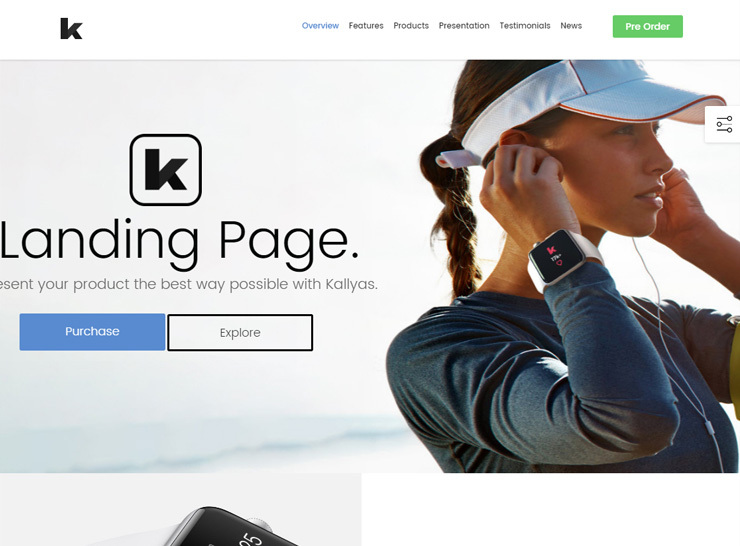 Kleo is a powerhouse, with over 20 pre-built demos to choose from and over 40 different page templates, the theme can be used to create virtually any kind of website. 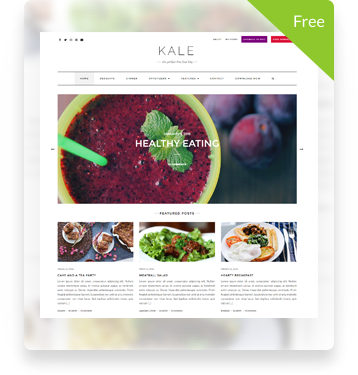 You can build a community, create a professional blog, a stunning portfolio, a business directory, or a mindblowing ecommerce store using Kleo. 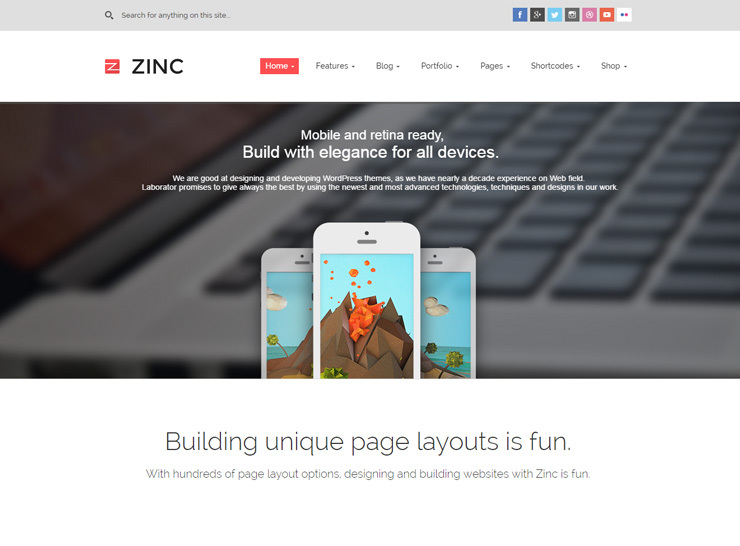 This is a responsive, retina ready, extremely powerful theme that is backed with excellent support and great documentation. 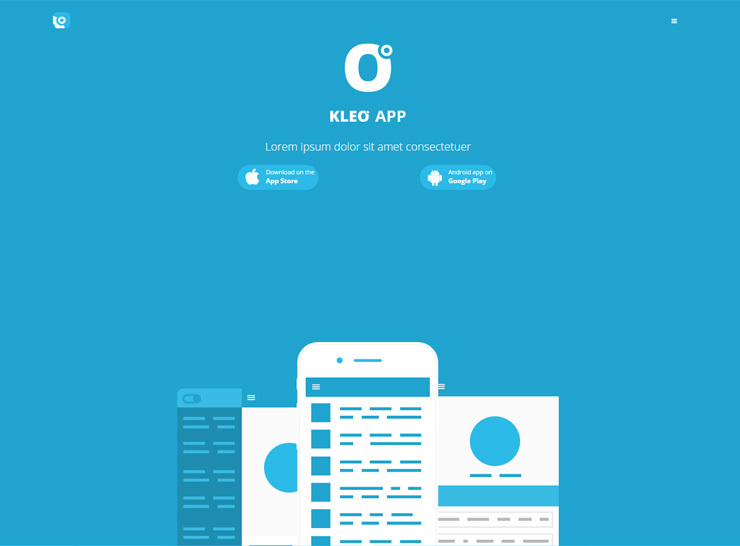 The Kleo demo for a mobile app showcase is extremely simple but effective. The single color scheme places the emphasis and app features. 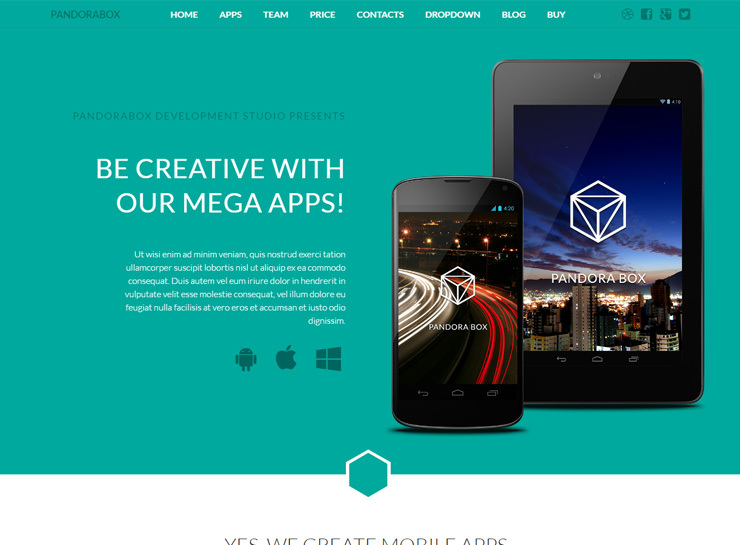 It has a creative demo with a clean design that you can use for your mobile app, software or website theme or template showcase. 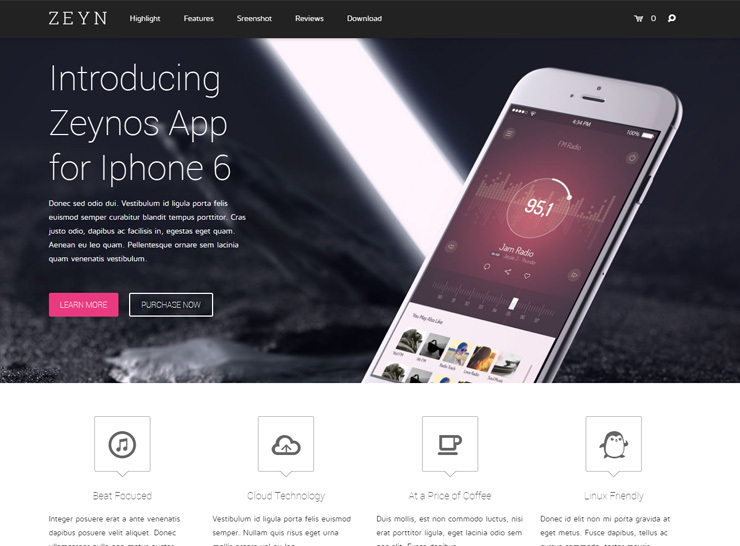 Massive Dynamic is an impressive theme, which is super easy to use and customize with a plethora of options that enable you to create a unique website for your app or business. Coded with the best SEO practices in mind, Massive Dynamic comes with unlimited layouts, Visual Composer, Revolution Slider, and many shortcodes thus giving you all the tools you need to produce a remarkably special website that is unique to your brand and content. 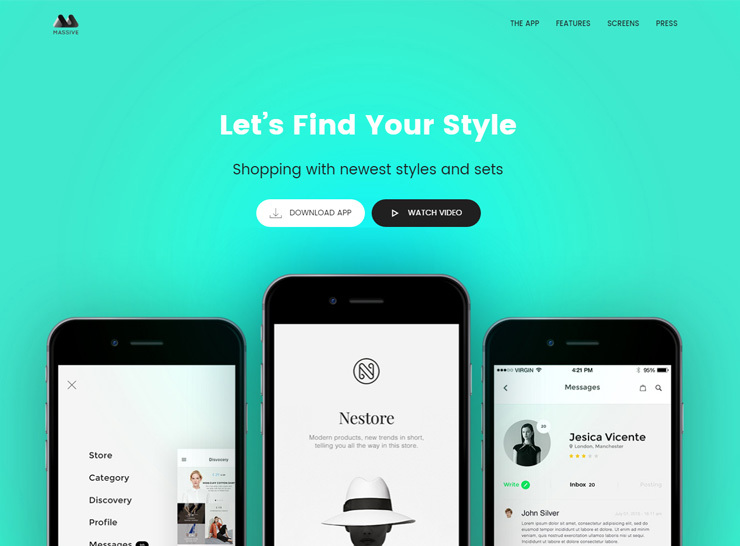 The theme comes with more than 20 demos that you can choose from, ranging from online stores to executive business layouts. The mobile app demo is simple, yet engaging, simple yet packed with features, and has the capacity to showcase your app in the most favorable light possible. 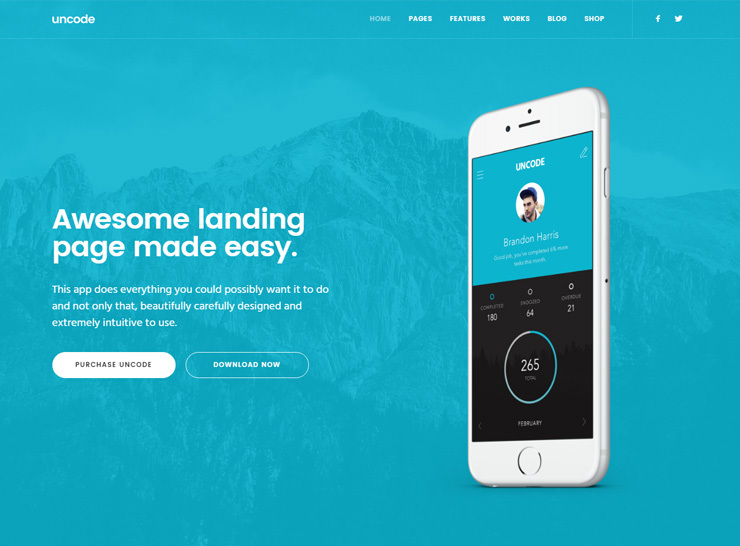 Amazing parallax effects give your visitors a grand entrance into your website with a place to display a product video and several content areas, the landing page is beautiful, impressive, and technologically advanced. Massive Dynamic has an enormous number of features, and they are constantly adding more. The visual front end builder helps even the most novice users build a visually stimulating website, with no coding knowledge needed. With different header and layout styles to choose from, the theme gives the webmaster a lot of power to tweak and customize the website to their hearts delight and end up with a website that feels and works in sync with the company personality or mobile app branding, all the while providing all the functionality necessary to engage with users, present useful content, and display and showcase services and products. 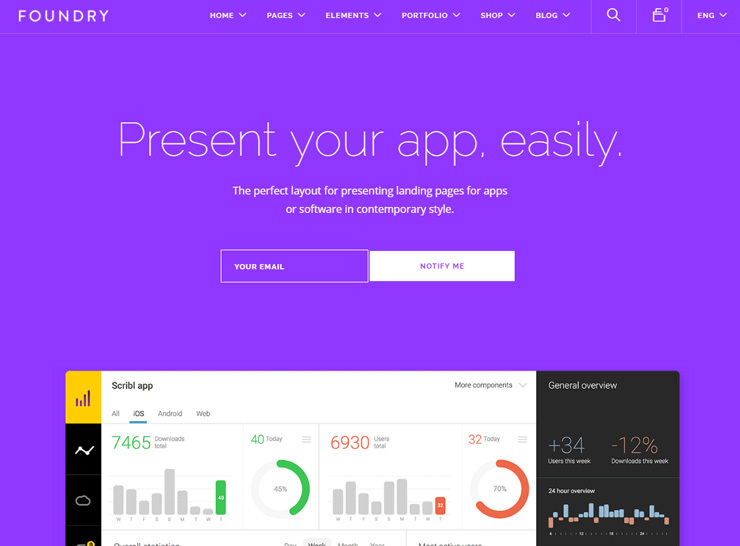 Foundry is another extremely powerful theme that harnesses the power of Visual Composer and gives you some great tools that make it spectacularly easy to customize and setup your website. 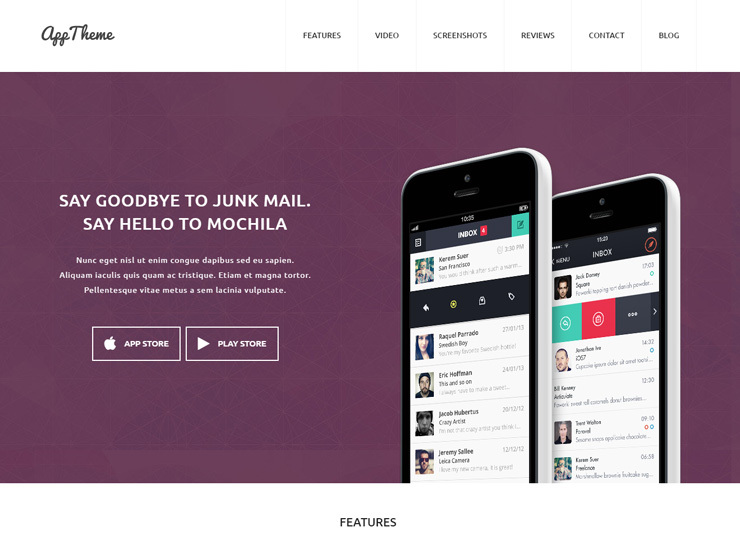 Jam packed with features and functionality, the design of Foundry is aesthetically accomplished and visually pleasing. 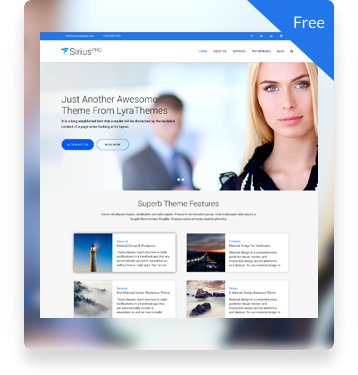 With many beautiful demos to choose from, this theme has the capability to fulfill the needs of multiple types of businesses. From landing pages, coming soon pages, ro full fledged business websites, the one-click demo import allows you to set a starting point for your website project giving you a blueprint to build upon. 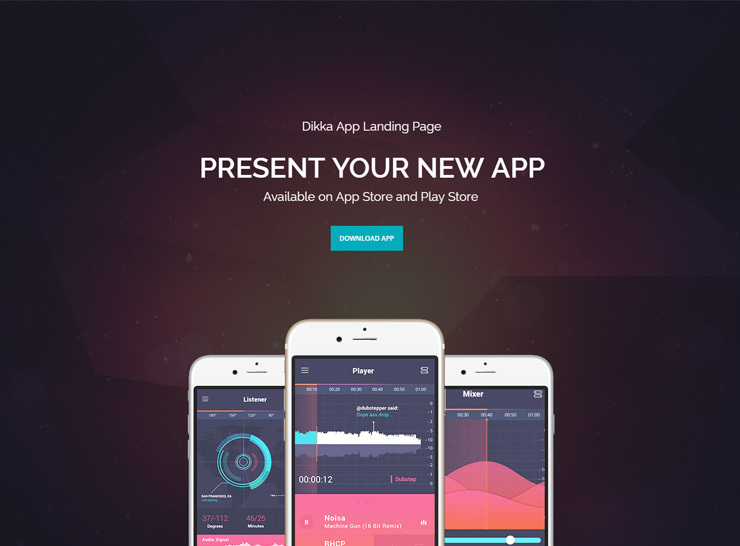 The app landing page demo is simple yet engaging, looks extremely professional and has ample space for showcasing the major features of your app or software. Use Foundry to create a website that inspires trust and confidence and effectively helps you capture new business clients or customers. Hello guys, great list !